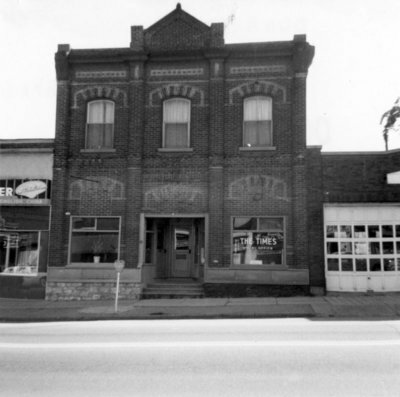 A black and white photograph of 111 Dundas Street West. This building was constructed in 1888 by Whitby Contractor Thomas Deverell. It was painted and remodelled in the 1970s. 111 Dundas Street West, October 3, 1965, Brian Winter. Whitby Archives 01-000-409.